I bought this for my sister for her birthday. she's the type that has everything... you don't know what to get her for presents. BUT, she didn't have this. and its style is exquisite - not you typical wine rack. and she loved it. Display your favorite vintages in elegance with this eye-catching wine rack. 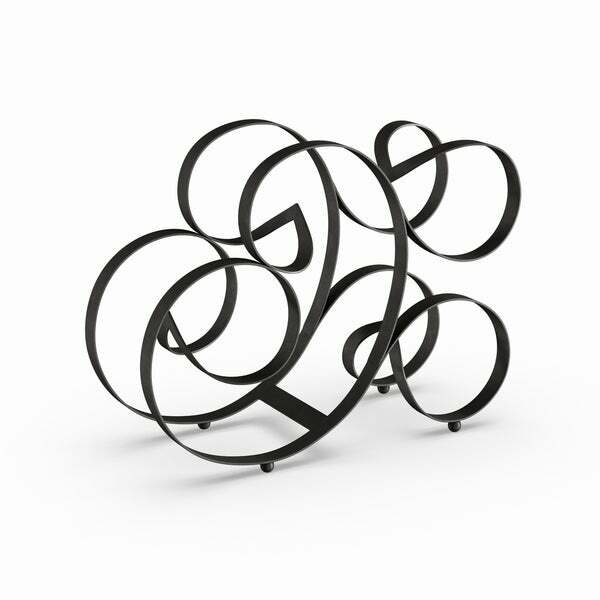 Crafted of sturdy cast iron, the rack securely stores up to four bottles, and its swooping, curving design and matte black finish add a sophisticated touch to any decor. I really liked this design, the wrought iron, and something different. I managed to get it to hold 5 bottles instead of four while maintaining its balance. Love it. This wine rack is just what I was looking for, I wanted some simple but not cheap looking to hold four bottle for my kitchen.